Newswire #104 – 5th May 2017. Your update on AllTheAnime and Funimation titles direct from Anime Limited HQ. We’re closing out the week with a new edition of our Newswire for you! We’ve got some updates relating to all sorts of things for you, so we wanted correlate them all in one place before the weekend. Read on below for details. ~ Also, what would you said there’s an opportunity for you to meet the director of Fairy Tail Dragon Cry this month? Excited?! Have a read of the next selection below. ~ There’s been a bit of news about the event this week and the first big piece of news is that the Anime Guests of Honour have been revealed! 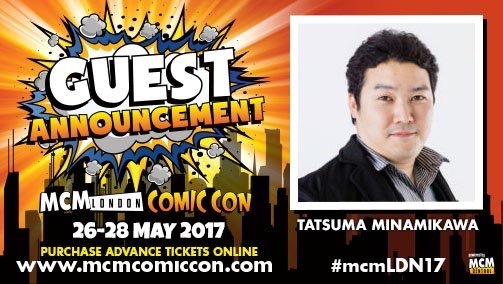 The director of Fairy Tail Dragon Cry Tatsuma Minamikawa and producer Yoahei Ito will be appearing at the MCM London Comic Con in celebration of Fairy Tail Dragon Cry being in cinemas! There will be the traditional Anime Guest of Honour panel the weekend of the event (day+time to be announced)! 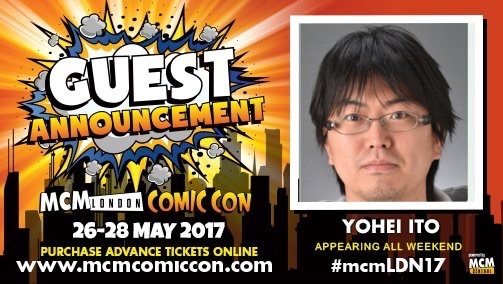 Learn more about each guest at the MCM website HERE. At this time we can confirm that both men will be involved in signings session on both the Saturday and Sunday of the event – times TBA. But please know there will be more updates to come in the coming week about their appearances at the event, so stay tuned for details! ~ And don’t forget that we’re partnering with Crunchyroll at the event! There are some big things planned and all will be revealed in the coming weeks! Stay tuned for updates. ~ Available now is Escaflowne on DVD! Don’t forget we’ve already released it Blu-ray, so if you’re looking for an HD fix of Escaflowne that’s also available now! ~ This Monday (8th May) sees new releases to add to your collection! 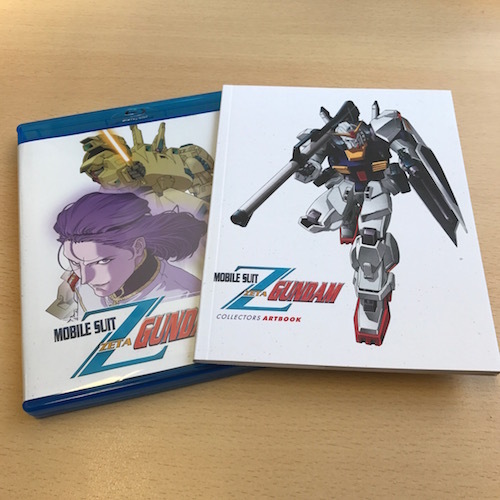 Mobile Suit Zeta Gundam Part 2 on Blu-ray, Your Lie in April Part 2 on DVD and Ltd Collector’s Edition Blu-ray, and the standard edition Blu-ray of Outlaw Star are what will be available. ~ In case you missed it earlier this week, we published an unboxing for Your Lie in April Part 2! You can see that HERE. ~ And yesterday we showed you what to expect from Zeta Gundam Part 2 Blu-ray release. See the unboxing for that HERE. ~ Oh, and speaking of Outlaw Star, earlier today we published a trailer for the series showing off the fantastic HD remastered footage on our Blu-ray release. It’s actually an HD remastered trailer of sorts, originally it was used as a promotional trailer for Bandai in the USA, and we re-created the entire trailer using footage from our Blu-ray. It looks gorgeous if we do say so ourselves. Check it out below. ~ In case you missed it over the weekend, we announced that A Silent Voice will be coming to select U.K. digital platforms from 22nd May! Read more about this HERE. ~ We’re going to be focusing on upcoming dates in just a few moment, but we wanted to let you know that Mai Mai Miracle will be going on general retail sale from 19th June. This will be available as a standard edition Blu-ray+DVD combi only. Expect to see retailer listings for this appearing very soon. ~ Looking ahead, we have some date changes to tell you about. Most have only shifted by a week or two, so nothing to drastic These have all come about due to a variety of reasons, each elaborated on below. — Selector Infected WIXOSS will now be coming out a week later than intended on 22nd May. Simple reason for this being a last minute unforeseen production delay. But we got it fixed quickly and it’s on course 22nd May. — Prison School will now be coming on 12th June, a few weeks later than originally intended. The reason for this being that the lenticular portion of the packaging being included for our release is a very unique element that we’re using for the first time. As such we want to allow a little breathing room to ensure it’s just how we want. Speaking of Prison School, we can also confirm it passed uncut during BBFC certification and was given an ’18’ rating. — Assassination Classroom Season 2 Part 1 is shifting back by a few weeks to 19th June. The reason for this being quite simply that production has taken a little longer than expected. — When it comes to Tokyo Ghoul OVAs, Erased Part 1, GANGSTA. and Sword of the Stranger, all of these will now being out during the third quarter of the year. This is due to material delivery delays on each title. Don’t forget you can see the updated release page at our site HERE. ~ Looking past the titles mentioned above, Persona 3 fans today we can show you what our upcoming release of the fourth and final film, Persona 3: Movie 4 will look like! Following on in similar style to our releases of the other films, this Limited Collector’s Edition Blu-ray+DVD set comes packed in a rigid case with a digipack to hold both discs, plus a booklet containing Character Art, Art settings from art boards and key animation, Roundtable ‘Free Talk’ interview with Tomohisa Taguchi (Series Director, Chapter 2 & 4 Director) & Kazunori Adachi (Producer), Cast comments and a Special Persona 3 Movie Edition of ‘Tartarus Theatre’ – 4-panel comic. 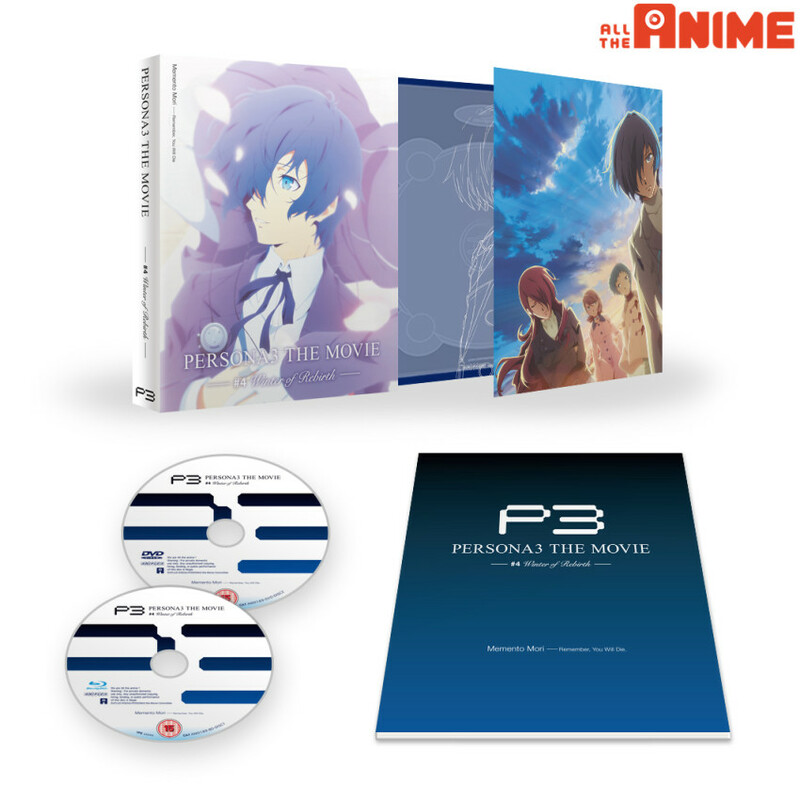 Persona 3: Movie #4 Winter of Rebirth will be available from 5th June 2017. 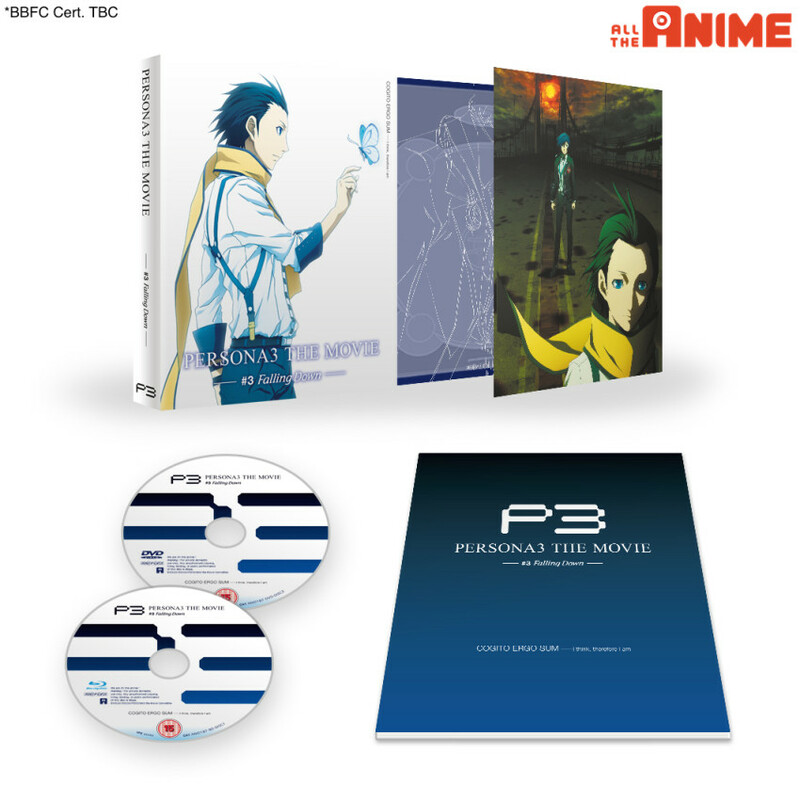 ~ Oh and speaking of the Persona 3 films, for those of you wondering we have an early bird special offer for the third film, Persona 3: Movie #3 Falling Down, right now at our web shop until Wednesday next week! ~ Out this Monday (8th May) is Fairy Tail Part 14 on DVD! ~ Looking ahead, we have one release date change to tell you about. This being for Norgami Aragoto which is shifting back by a few weeks to 19th June. The reason for this being that production on these taken a little longer than expected. ~ We’ll be having some new on some upcoming titles we haven’t mentioned in a while for over the coming weeks, so be sure to stay tuned for that. The first wave of replacement were sent earlier this week! We sent out confirmation emails to everyone who had theirs sent. The next wave will be sent towards the end of next week. If you haven’t received a confirmation yet, don’t worry you likely will by mid-late next week. All replacement requests we have received have been fulfilled. If you’ve not put in your request for a replacement disc yet please follow the steps in the link above. All replacement requests we have received over the past week have been fulfilled. If you’ve not put in your request for a replacement sleeve yet please follow the steps in the link above. And that’s all for now! Hope you all have a good weekend.